Sight & Sound’s iconic production sets sail into movie theaters this April for a special nationwide event. NOAH takes you on history’s best-known voyage as you board the enormous ark—along with two of every kind of animal! 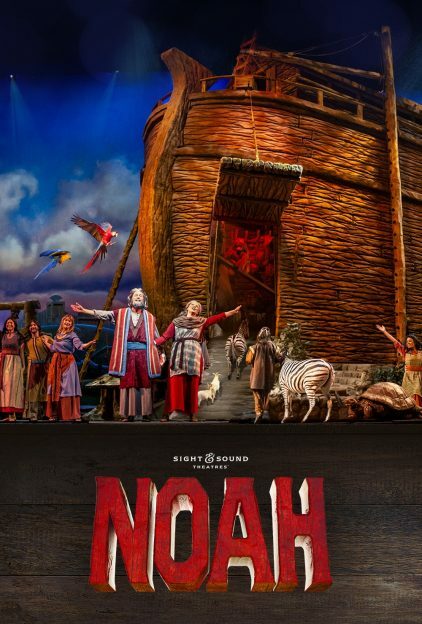 Filmed before a live audience, NOAH captures the panoramic scope, spectacle and grand scale that are signatures of a Sight & Sound musical production. This is the third Sight & Sound production to make the journey from stage to screen, including MOSES in 2018 and JONAH in 2017.